Why use Douglas Fir Timbers? 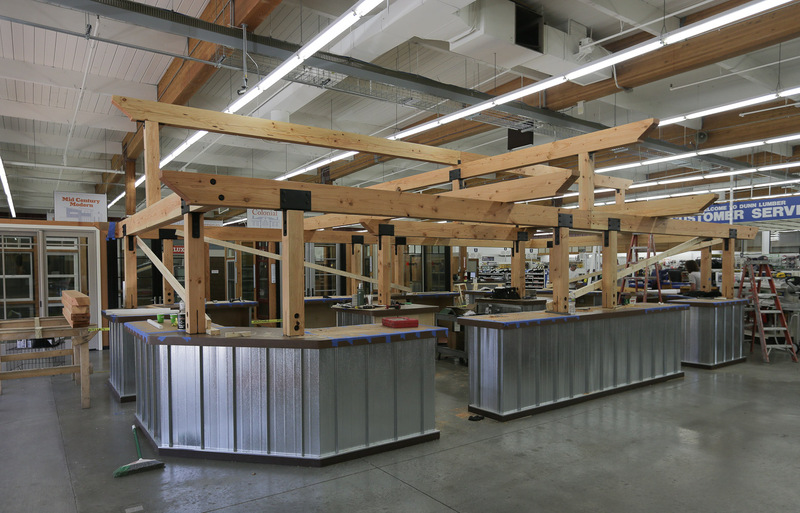 Douglas Fir lumber: it just seems like a natural fit for the Pacific Northwest. If you want structural integrity, and the warmth of real wood, you will want to take another look at beautiful, locally sourced, Douglas Fir timbers. With Douglas Fir you get one of the strongest and most durable softwoods, ideal for light or heavy construction. 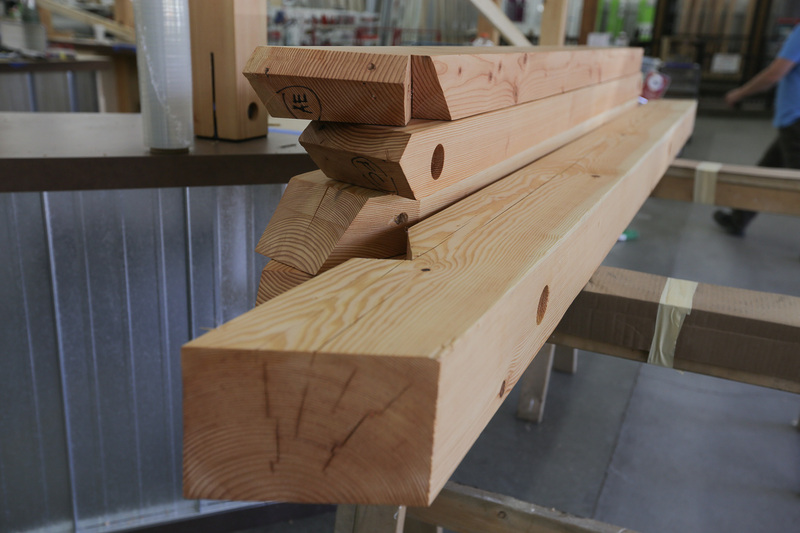 Douglas Fir timbers can be readily sourced in many sizes, from 3" x 6" up to 12" x 12". They can also be sourced in a number of grades and are available in S4S (surfaced 4 sides) or resawn texture. This variety provides you with many options to meet the requirements of your project. The Douglas Fir Timbers on display at Dunn Lumber are free of wane, and selected for appearance. The grade is #1 & btr, FOHC (free of heart center), KD (kiln-dried). One of the best things about these timbers is they are KD. This process of drying the wood reduces checking *, warping, and twisting. *Checking is a natural process that occurs as the wood dries, and cannot be avoided. 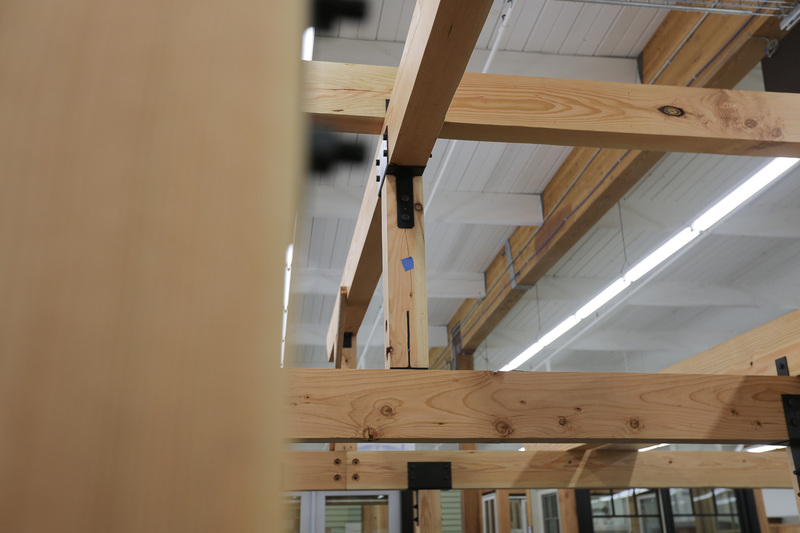 Checks do not affect the structural integrity of the wood and are considered to be part of the natural rustic character and beauty of Douglas Fir timbers. KD sets the dimension of the wood so both S4S and resawn textures fit standard hardware. KD sets/hardens the pitch in the lumber. KD inhibits mold growth more than green timbers. KD timbers are lighter and easier to handle. Attorney Scott Hildebrand discusses how to protect yourself from liability when hiring trade contractors, what constitutes a binding contract, and whether verbal contracts really are legally enforceable. In this installment of our interview series with Gary Katz, Gary discusses the revolutionary value of laser levels, as well as some optimal applications.